Taking a baby to get routine vaccinations is often a traumatic experience for both baby and parent. 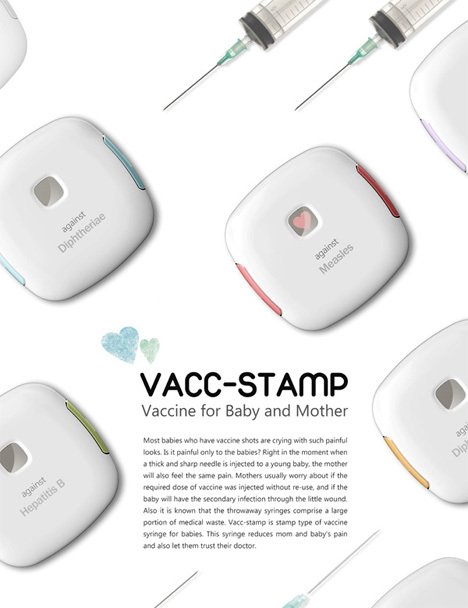 The VACC-STAMP is a smart invention that would make immunizations a lot less painful for babies and a lot less stressful for their parents. 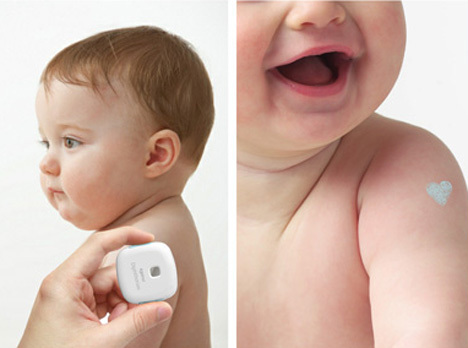 The VACC-STAMP is a small square device that delivers painless vaccinations via a tiny needle. The inventors say that the microneedle is so small the baby won’t even feel it. At the same time as the vaccine is being administered, a “stamp” of anti-inflammatory and disinfectant material is put onto the surface of the baby’s skin. These medications help prevent irritation or infections at the injection site. 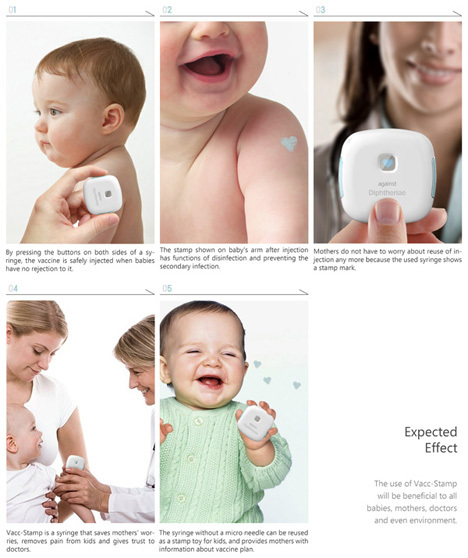 The stamp happens to be in the shape of a heart, reminding parents that, even if immunizations are a little stressful, they are necessary to keep babies healthy. See more in Unbuilt Concepts or under Technology. June, 2013.